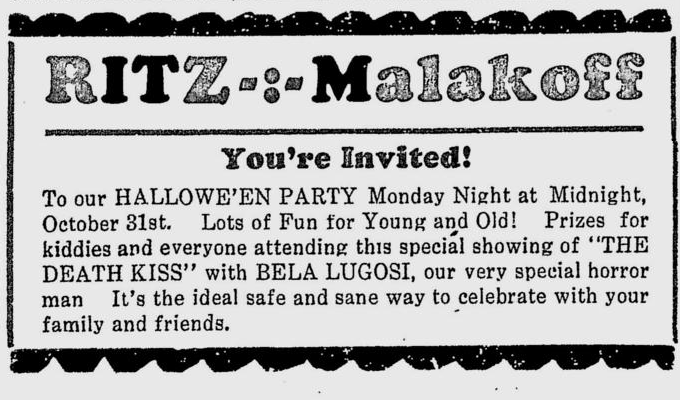 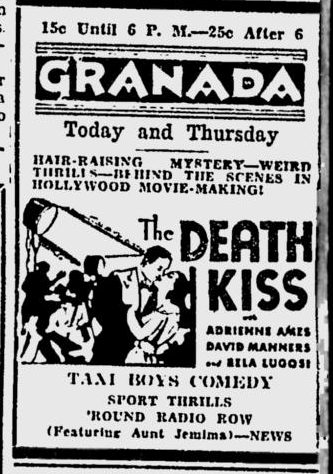 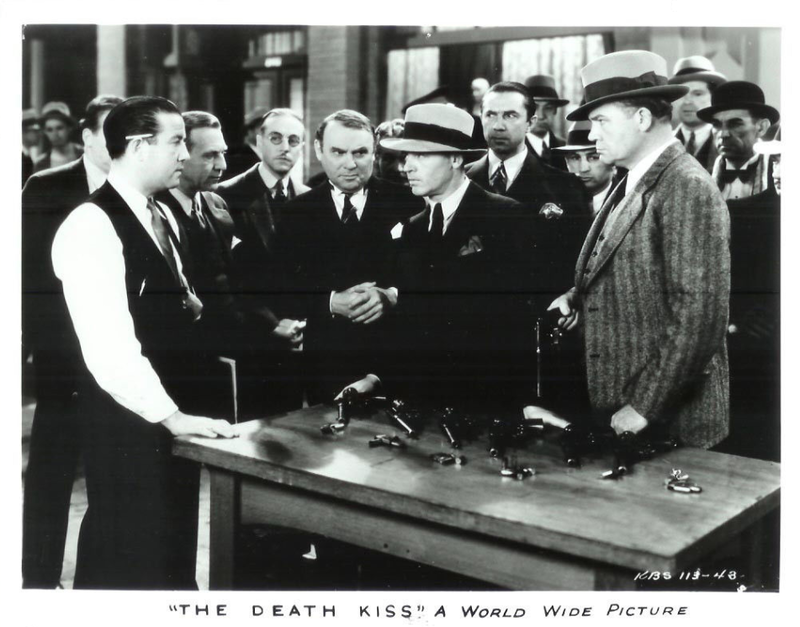 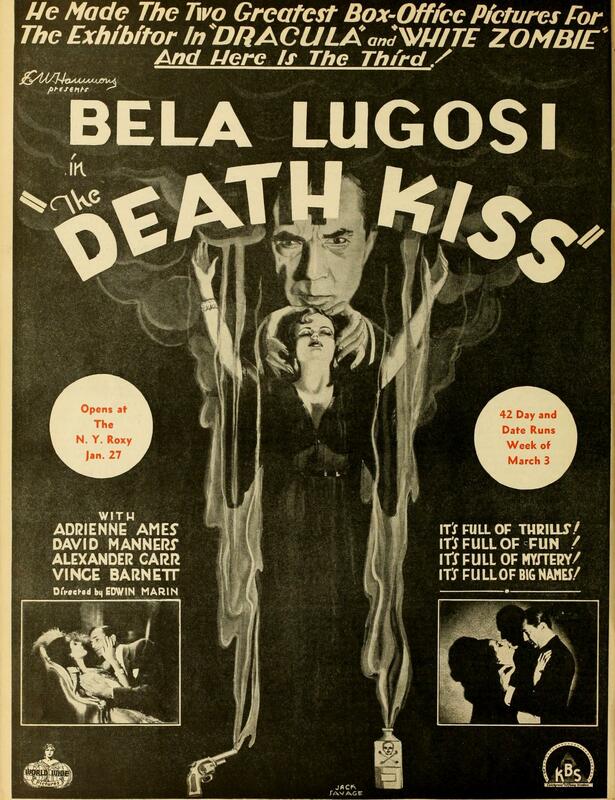 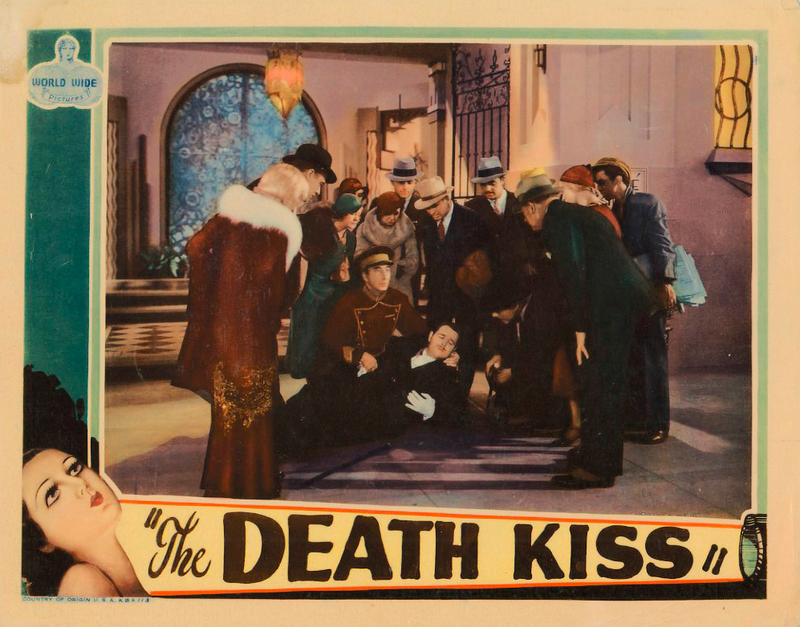 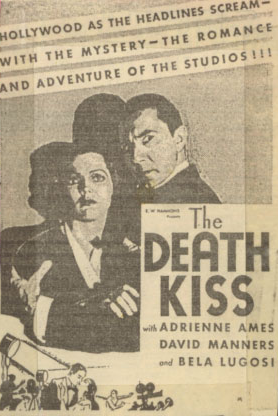 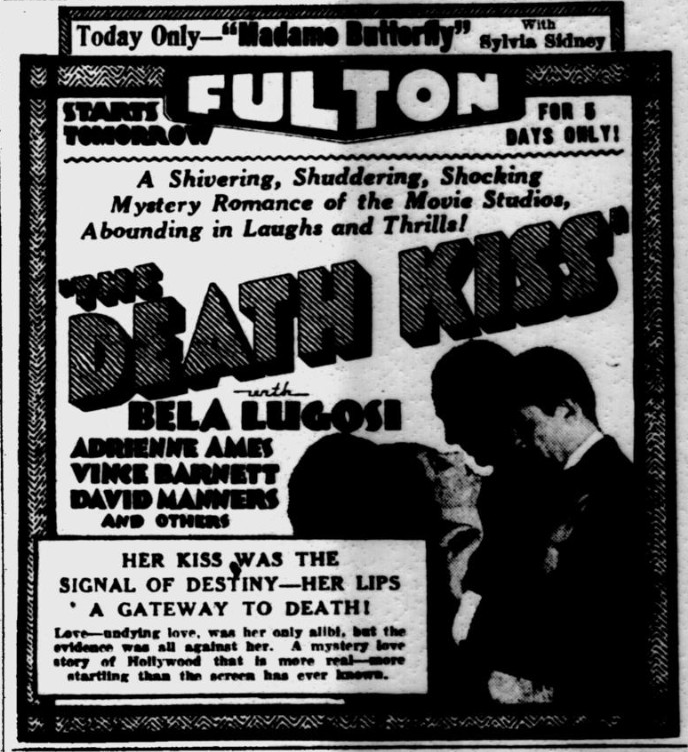 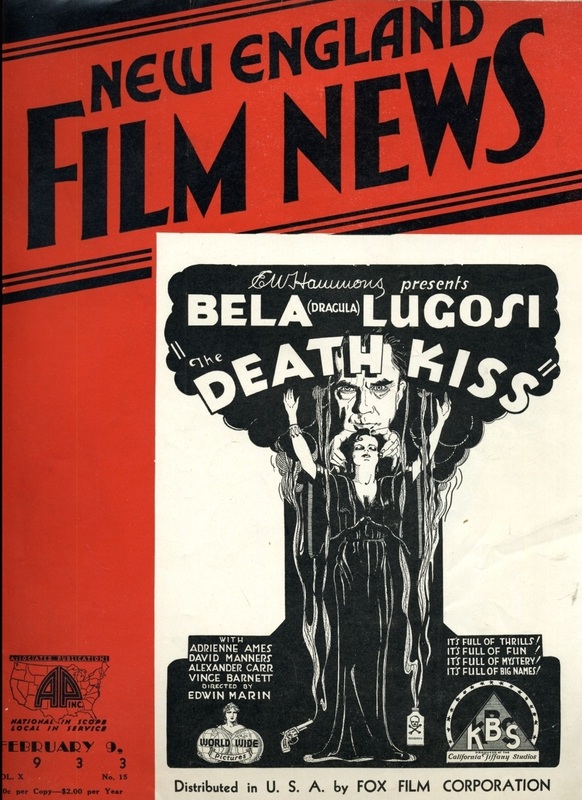 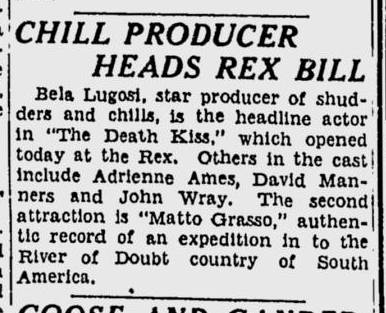 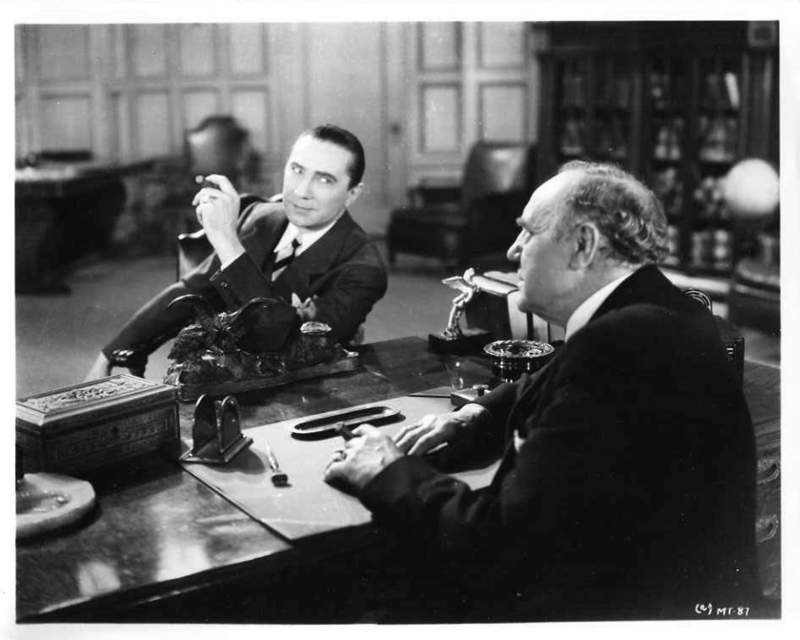 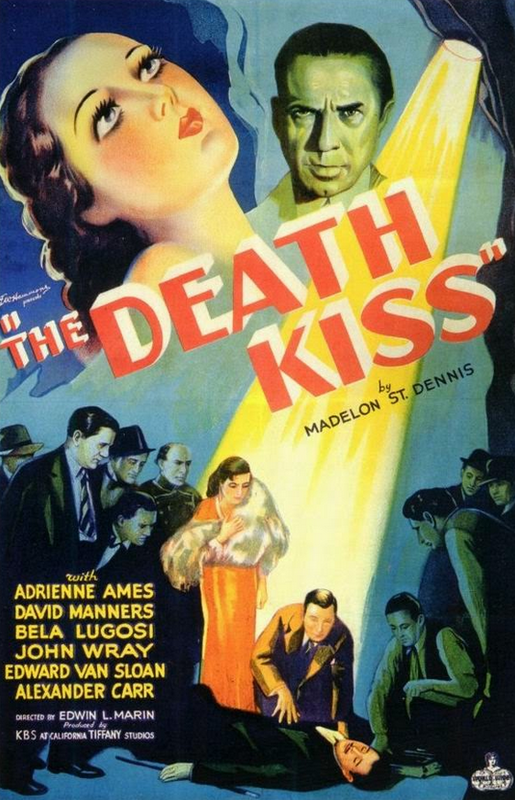 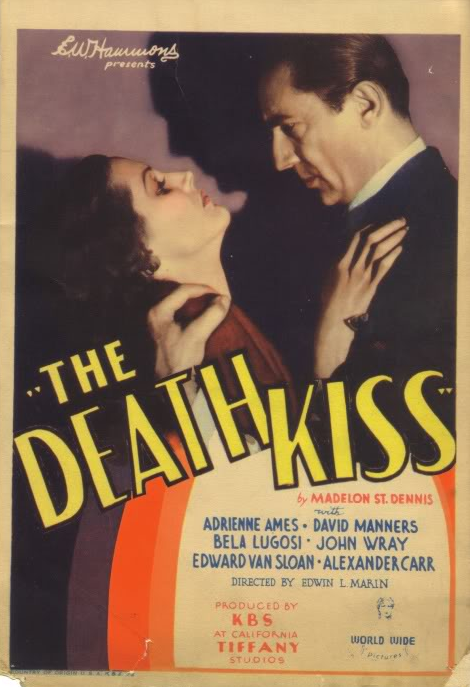 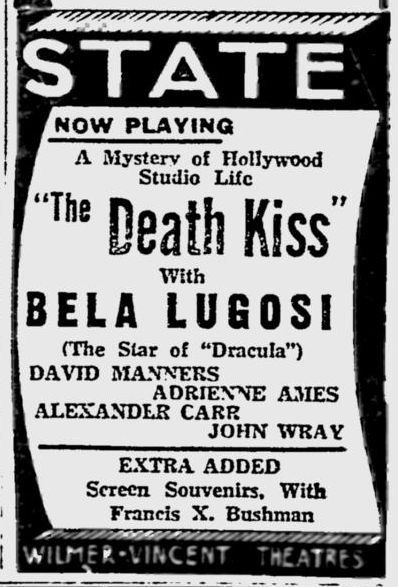 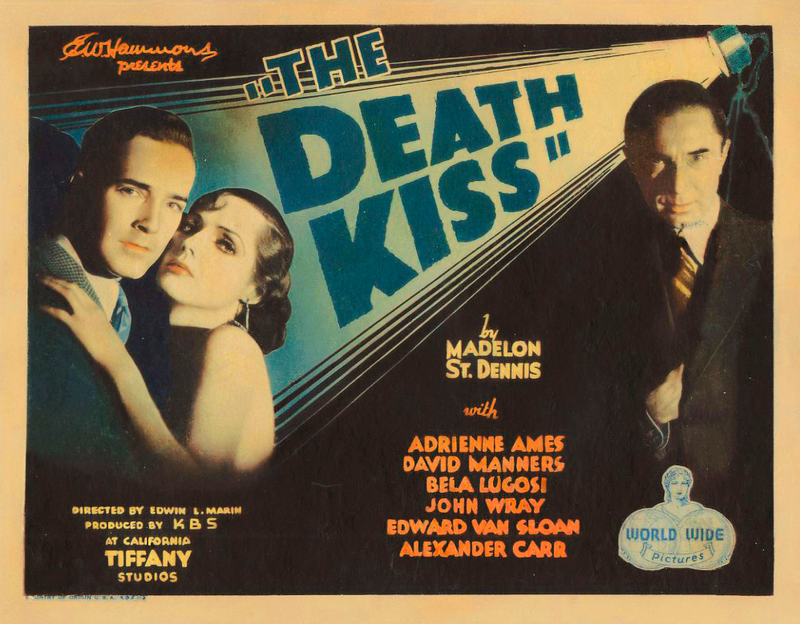 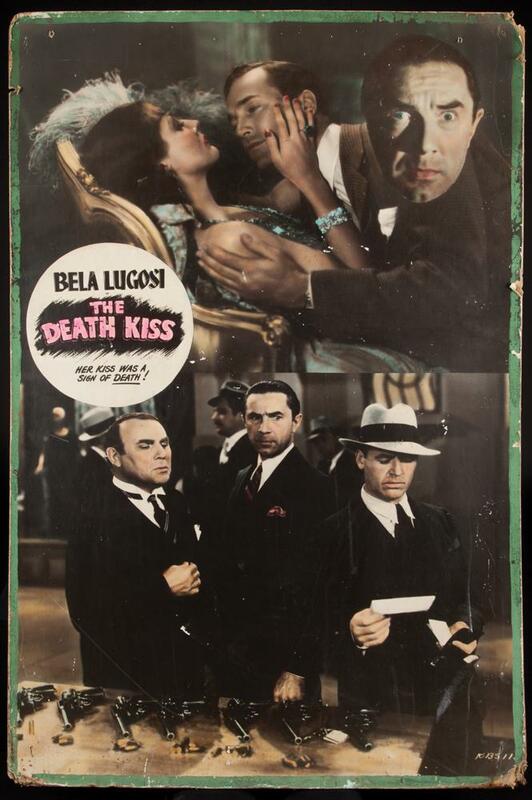 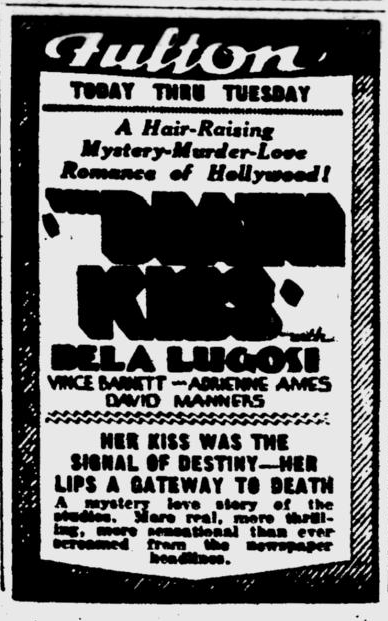 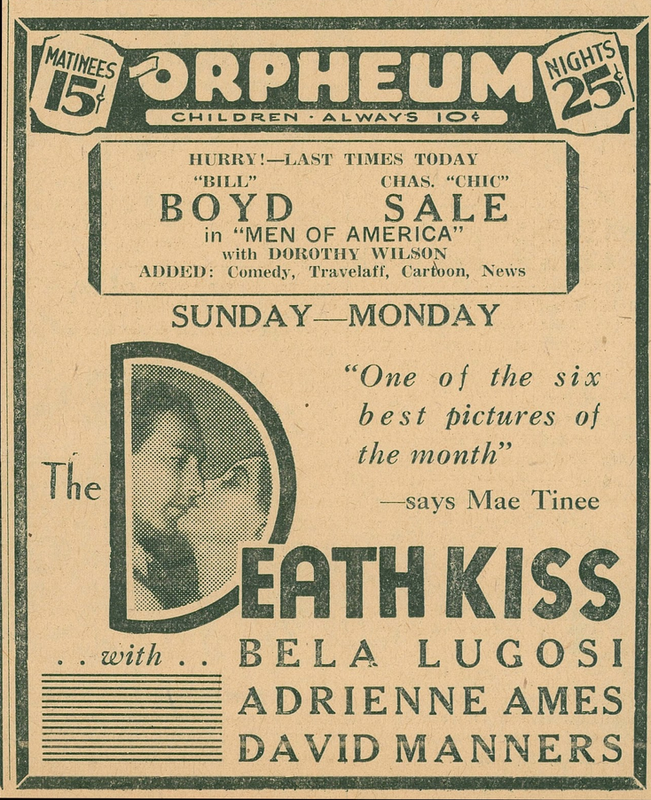 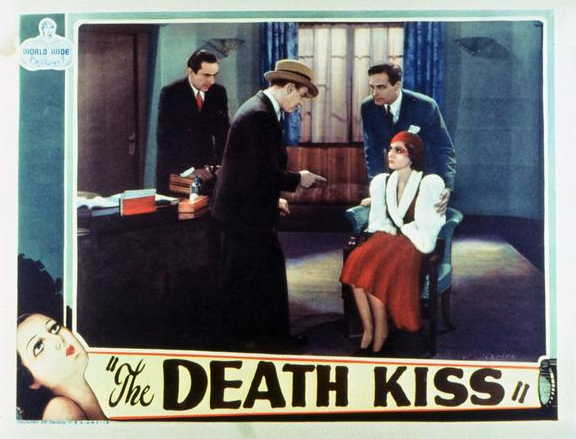 A murder mystery set in a film studio, The Death Kiss is perhaps most notable for reuniting Bela Lugosi, who plays a studio executive, which his Dracula co-stars Edward Van Sloan, with whom he also appeared in the 1939 serial The Phantom Creeps, and David Manners, whom he later appeared with in The Devil’s in Love (1933) and The Black Cat (1934). 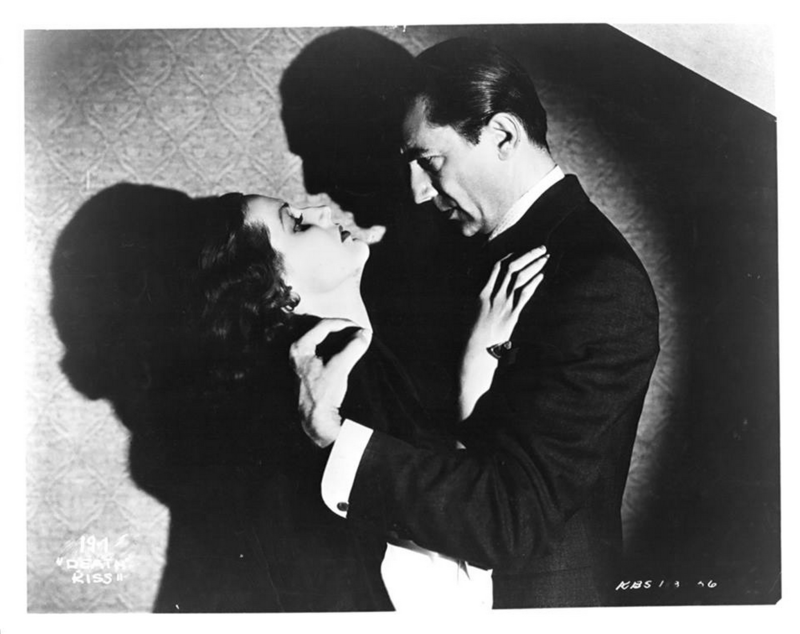 Shot in black and white, certain scenes had colour tinting applied to emphasize the effects. 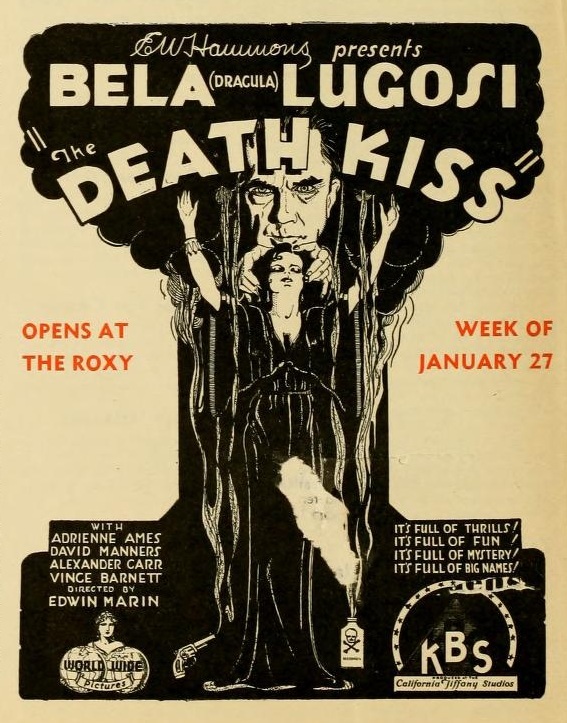 WITH its new policy of low prices and vaudeville in lieu of special stage presentations, the Seventh Avenue Roxy drew great crowds last week. 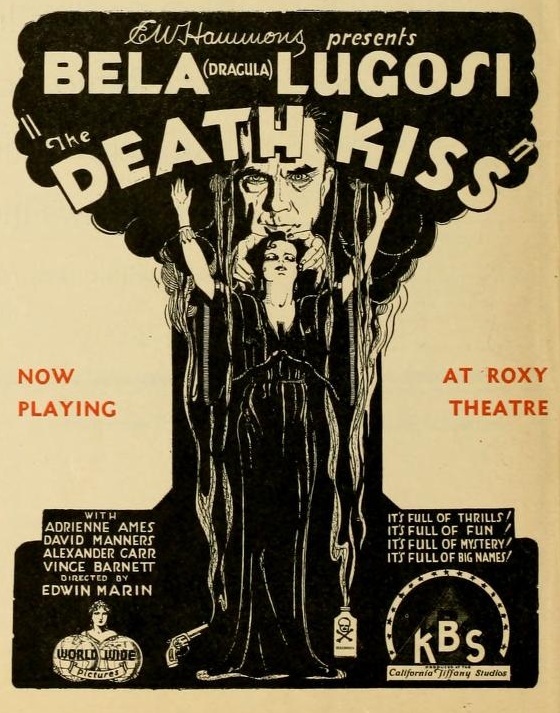 The screen offering was “The Death Kiss,” which, although it is somewhat staccato in its dialogue and movement, at least affords a decided surprise in the closing sequence. 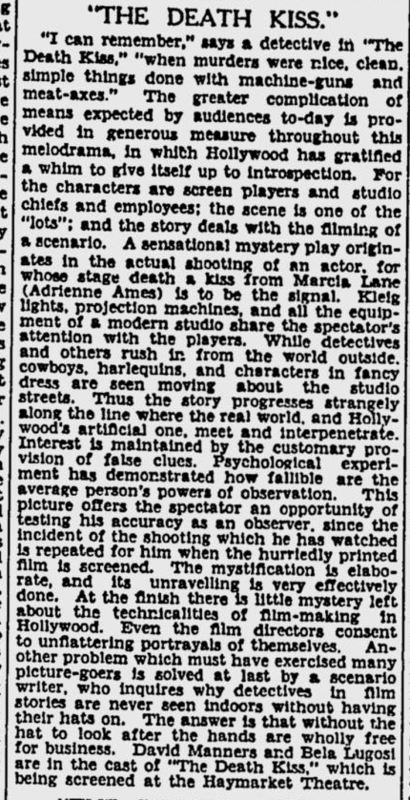 There are several other surprises in the course of this feature, and at the outset one sees persons in an automobile discussing killing a man and then one hears shots and perceives a victim fall. 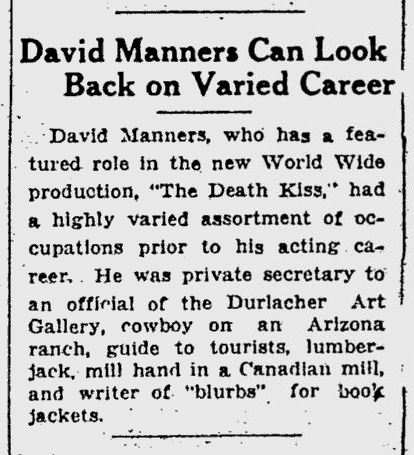 It turns out to be the acting of a scene for a motion picture, with the confident director in his camp chair. 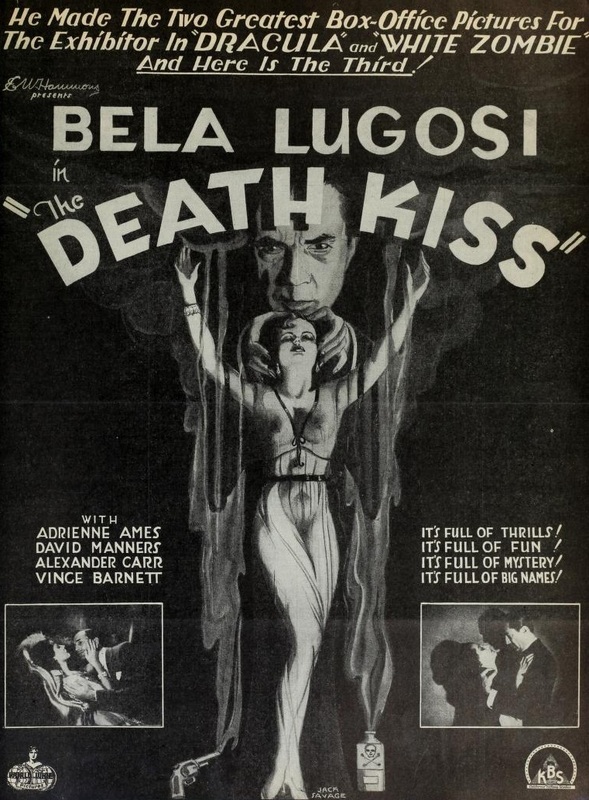 He grumbles about the death scene, telling the actor that he spins too much and it does not look real. 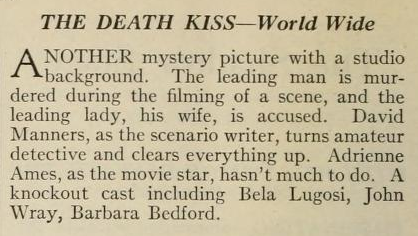 A second later it is discovered that the actor playing the part of the man who is supposed to die actually has been shot. 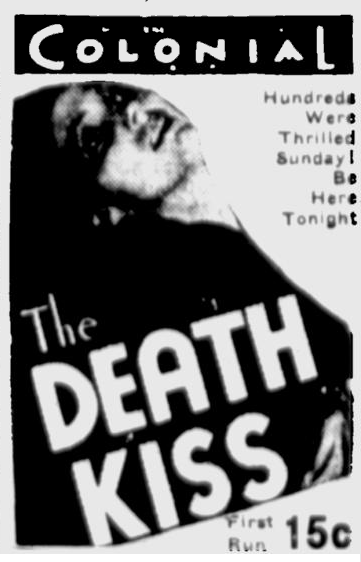 He is dead and the spinning was his last histrionic effort. 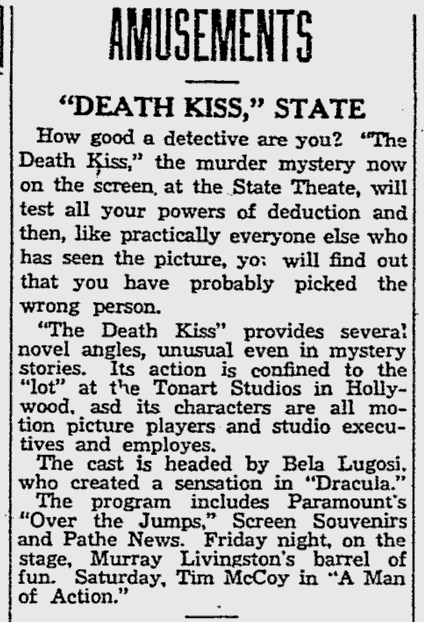 This much happens in the opening sequence, and from then on the interest is kept up, even though somewhat mechanically, until the climactic episode, when the identity of the individual responsible for the shooting of one actor and the poisoning of another is revealed. 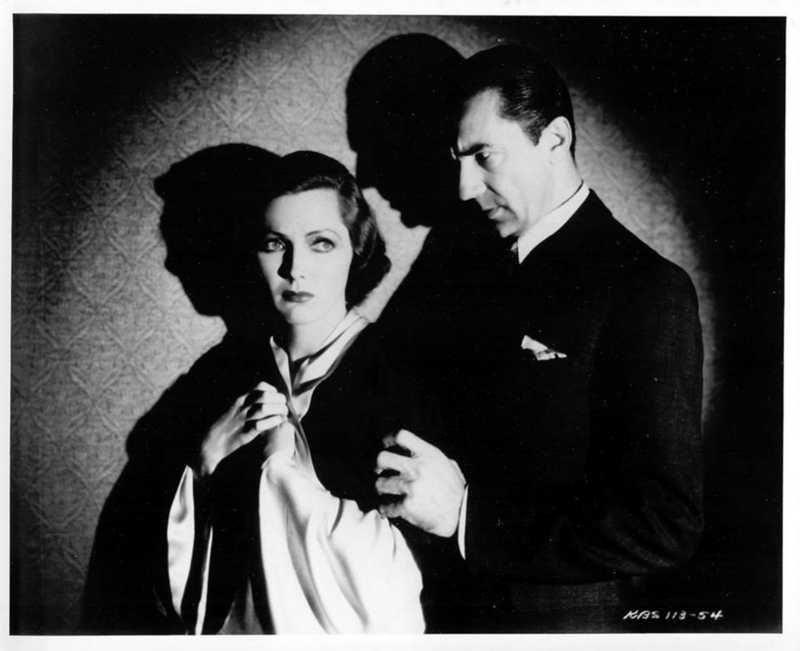 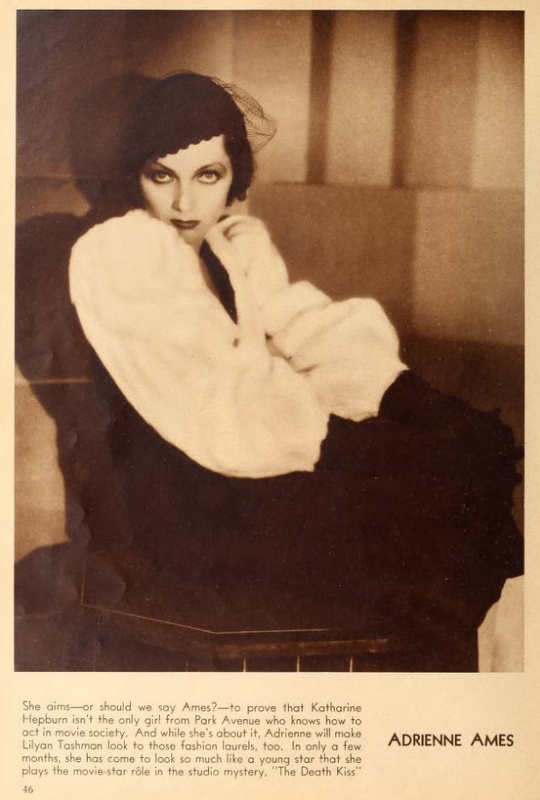 The picture has a group of efficient players, including Adrienne Ames, David Manners, Bela Lugosi, Alexander Carr, Vincent Barnett and Barbara Bedford.